Blackburn with Darwen Council is backing the Stoptober campaign, which is based on research suggesting that if a smoker quits for 28 days they are five more times likely to quit for good. The campaign, organised by Public Health England launched on Sunday, October 1 and has inspired over one and a half million quit attempts since 2012. Trained advisors in Blackburn with Darwen can offer free stop smoking support that really works. Ask at your local pharmacy, GP practice or download the list of current stop smoking clinics here. We want to help as many people as possible in Blackburn with Darwen to quit smoking. Stoptober is a great chance to get help to break away from this addiction and start to feel the health and financial benefits of becoming smoke free. There is free help available locally to enable people to quit for good. Research shows you are four times more likely to quit with support than on your own. If you want help to quit for good, get in touch today. Last year, out of the 2.5 million smokers nationally who attempted to give up smoking, 500,000 people were successful – the highest recorded success rate in six years. 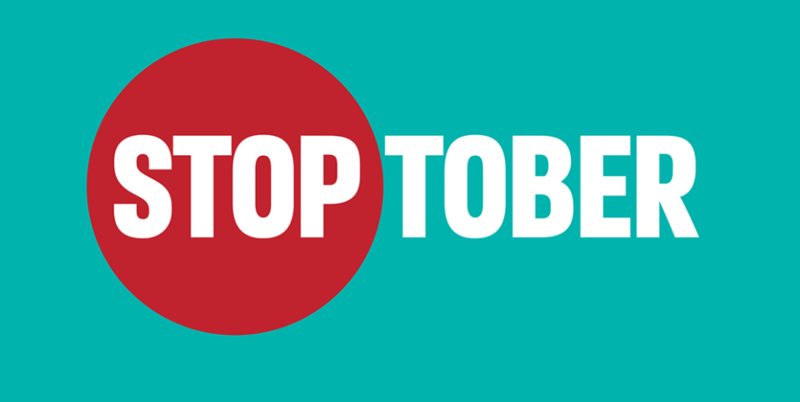 Stoptober 2017 runs until Saturday, October 28. For further information, contact (01254) 682037 or visit here.